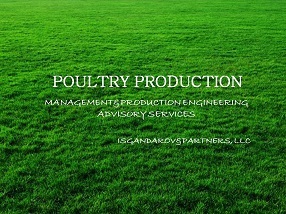 A complete supply chain function was established at the leading local poultry producer. This included the full diagnostics of existing procurement and supply chain related functions to test for its adequacy and readiness for supply chain integration within the business. A full action plan to build the supply chain management function was delivered, starting from the representation of supply chain management at board level to creating new level relationships with sales, production and quality management teams. The Project included the delivery of the series of trainings on Procurement, Inventory Management & Warehousing, Distribution & Planning. An on-job trainings resulted with the assignment of newly hired employees at number of positions within the Supply Chain function.